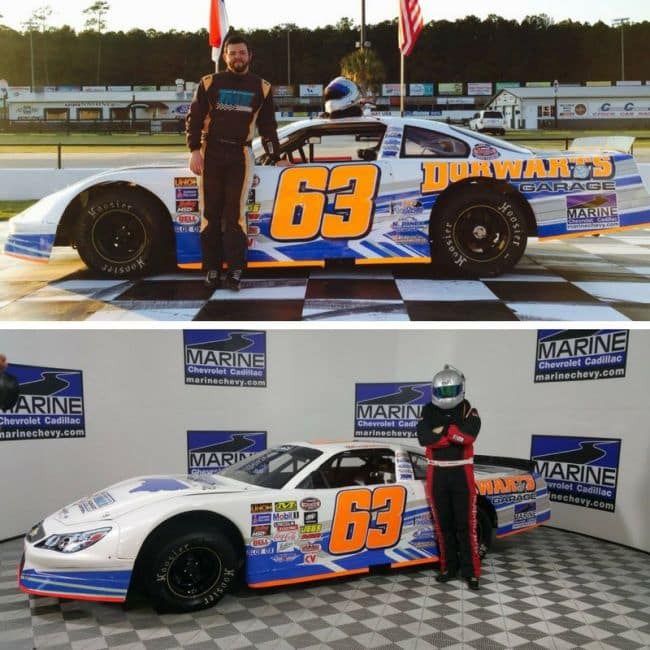 This year Marine Chevy Cadillac is excited to sponsor NASCAR All-American Series North Carolina State Champion, Tyler Matthews, for several races this 2017 Season. Matthews has shown great success and all of us here at Marine Chevy Cadillac are thrilled to have him represent us. Matthews began his journey at just 18 years old, and wound up winning the 2015 NASCAR All American Series, North Carolina Rookie of the Year award. He has since received top recognition and scored a pair of victories in 2016. He was also the Southern National Motorsports Park late model track champion and the NASCAR All-American Series North Carolina state champion. We are proud to sponsor Matthews, whom proves what hard work and determination can lead to. We know he truly represents us and what we stand for as a car dealership, which is what makes this such a great partnership all around. Tyler Matthews is surely making a name for himself and we look forward to seeing Marine Chevy Cadillac out there on the track, as well as his continued success as a champion! The majority of his races are at Carteret County Speedway, only about 40 minutes away. Matthews next race at Carteret is on April 16th, so be sure to come join us in watching him race this season! For the largest selection of cars and trucks in Jacksonville, N.C. and surrounding areas, look no further than Marine Chevy Cadillac.